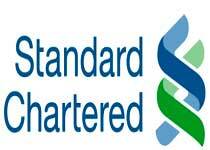 Standard Chartered Bank Nigeria recruits for the position of suitable and qualified graduates for its Senior Talent Acquisition Specialist. We attract talented individuals. Not only can they give you the benefit of their experience, they also reveal a closer, more personal look at the wide range of global opportunities we offer. At the core of the Group's people strategy is our focus on employee engagement. Engagement is a key driver of productivity and performance, which creates the foundation of our performance culture. We encourage and focus on the behaviours that bring out the very best from every employee, assessing their performance not just on results but on how those results were achieved. To further embed these behaviours we have a remuneration programme in place, carefully designed to incentivise our employees to live our values every day. Responsible for developing appropriate talent acquisition strategies, and managing the end-to-end talent acquisition process to deliver agreed targets for roles within assigned business areas, ensuring that the right candidates are recruited, at the right time, at the right price. Partnering with the business, the role holder will provide both consultative and transactional talent acquisition support to deliver a comprehensive and value added service, covering the recruitment of all employed worker (internal and external) local and cross border hires and transfers, ensuring all talent acquisition activity is aligned to and effectively communicates the employer brand. Fulfil the business’ hiring requirements (including graduate and management associate hiring targets), achieving time, cost, quality and governance KPIs. Ensure exemplary team, hiring manager and supplier compliance to controls and standards including (but not limited to): search firm / agency engagement; approvals and exceptions processes; offers; staff screening; immigration etc.